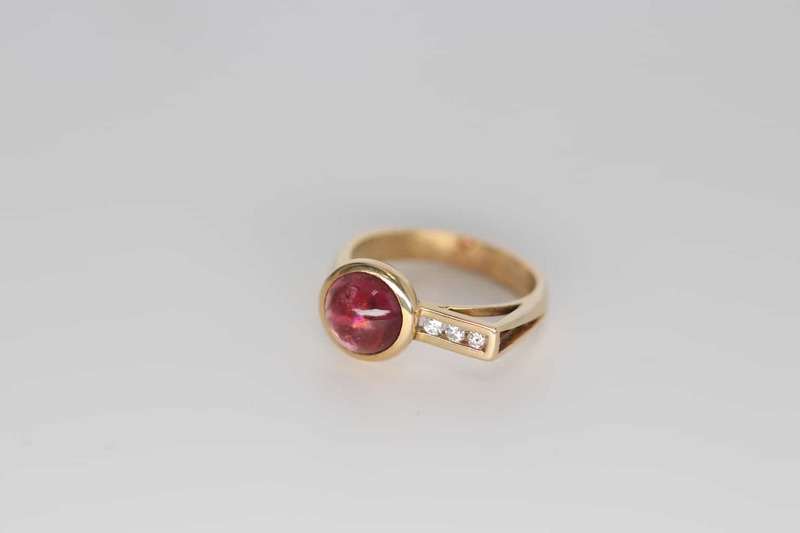 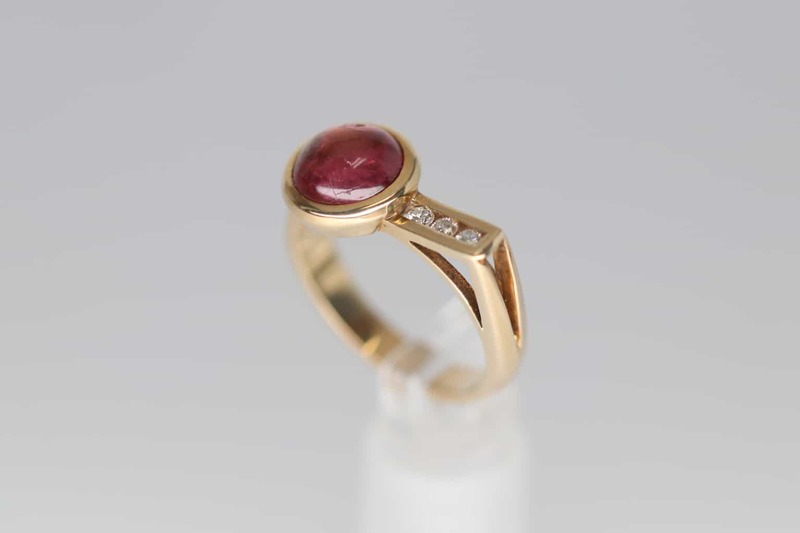 14K yellow gold ring with a Cabochon Pink Tourmaline and Diamonds. 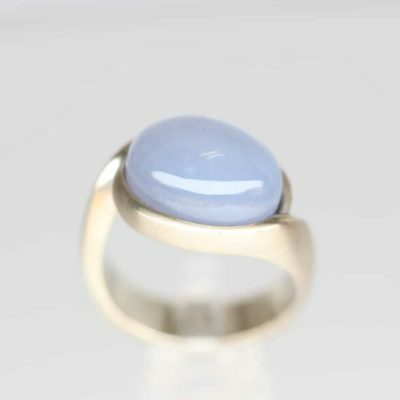 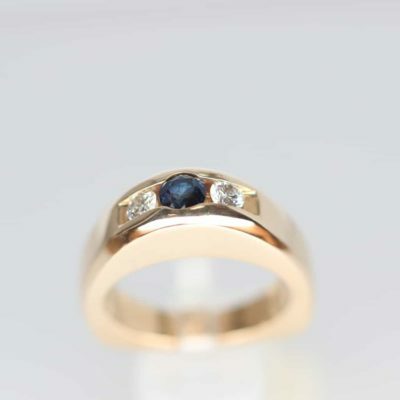 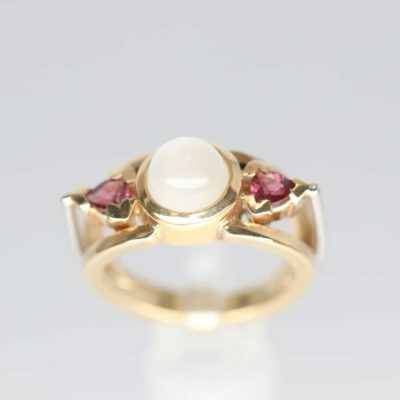 This unique ring is one in a collection of this style. 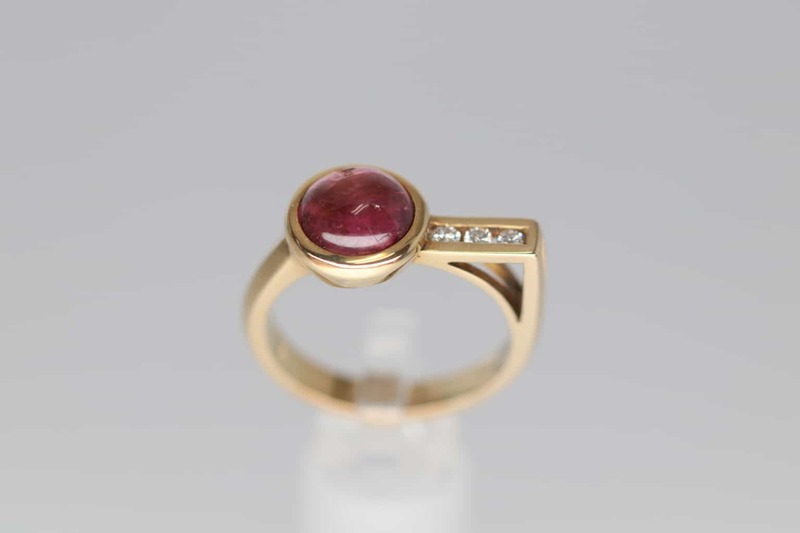 This piece displays an 8x8mm cabochon Pink Tourmaline as well as 3 round diamonds.